Sowing Seeds of Hope is a dynamic partnership between the people of Perry County and AlabamaCBF-related churches. 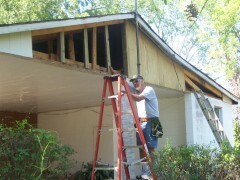 Started 10 years ago, Sowing Seeds of Hope is a 25 year commitment to help the people of Perry County through home repair and housing solutions, healthcare assistance, spiritual renewal opportunties, educational resources and much more. Dozens of churches, Baptist and from other denominations, from inside and outside the state, have sent volunteers and financial resources to help the people of Perry County. ...Cultural enrichment is available for all citizens. What can you and your church do? You can volunteer to serve in a variety of ways: home repair and community building repair, healthcare assistance, children's ministry, food and clothing needs, and so on. We can find a mission effort to suit your skills and ways that you feel led to serve. You can be an advocate for Sowing Seeds of Hope. You can pray for Sowing Seeds of Hope. You can give financially to provide resources necessary for projects, as well as direct assistance to the people of Perry County. The Sowing Seeds of Hope website is www.sowingseedsofhope-pc.org. This year the Sleep Inn Hotel has given us discount prices for SSOH Volunteers. That would be double beds and free breakfast for $65 per night. There is an exercise room and pool. The 25th chapter of the Gospel of St. Matthew contains a powerful teaching about the judgement of God. The basis for that final examination we are told, will not be what we believe, but how what we believe determines our ethics. Did we see the hungry and refuse them something to eat, the thirsty and deny them drink, the stranger and offer no welcome, the naked and provide no clothing, the sick and offer no care, the prisoner and neglect to visit? If we have refused these ministries, then we have also rejected God. The Sowing Seeds of Hope partnership between AlabamaCBF and the people of Perry County was born in the 25th chapter of Matthew. With a child poverty rate of more than fifty percent and an unemployment level of higher than ten percent, Perry County is one of America’s poorest counties. Yet, it is also the cradle of Baptist life in Alabama, the location of three significant Baptist institutions (Judson College, Siloam and Berean Baptist churches), and the site of origin of Howard College (now Samford University), The Alabama Baptist, and the Home Mission Board (now North American Mission Board) of the Southern Baptist Convention. What better place, then, for Alabama Baptists to demonstrate two central elements of our common faith: ecumenical ministries with black and white Christian brothers and sisters and a commitment to social justice. We envision no quick fix and no paternalistic relationship. We contemplate an engagement of at least a quarter-century, not of a few months. We proclaim a vision longer than the span of our own lives. And we act only as enablers, responding to what the people of Perry County themselves decide are the best ways to provide health care, better education, job skills, economic development, and adequate housing. All our efforts will be collaborative. We will work with the people of Perry County, not at them or for them or toward them. There have been many efforts during the past century to reduce or even eradicate poverty. But the effect has been marginal. So what we propose is a faith-based initiative that begins with the spiritual questions that energize our Christianity. Who are the poor and what is our responsibility toward them? How can we transcend the materialism of our age for a fresh vision of God’s creation? How can people be empowered to take care of their own physical needs? Can Christianity surmount barriers of race and class on behalf of a higher human ideal? Can we change the political and economic structures that enslave the poor as effectively as we seek to introduce them to new life in Christ? Can we listen to and learn from the poor as patiently as we talk to and teach them? We invite all who share our vision to walk with us on this often frustrating but always exhilarating pilgrimage. This article was written by Dr. Wayne Flynt, Distinguished University Professor at Auburn University, member of the Auburn First Baptist Church and progenitor of the Perry County concept for missions and ministry.